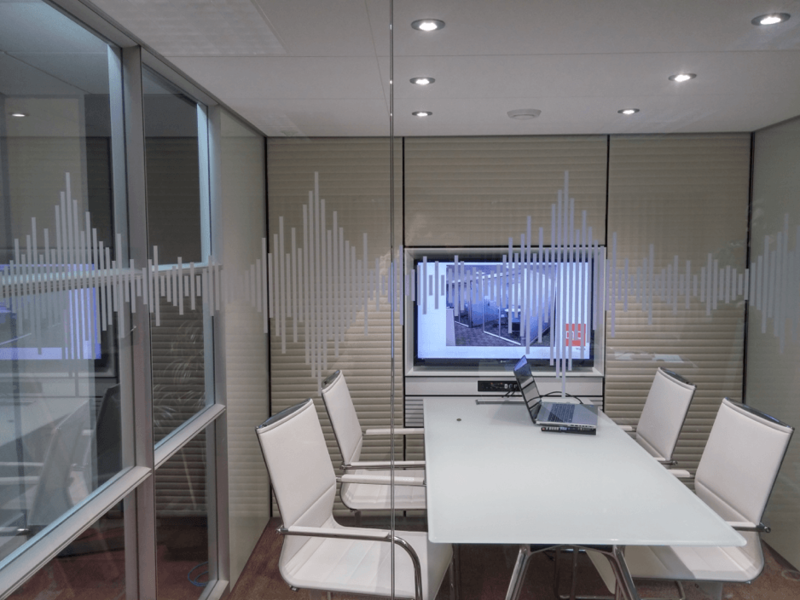 Creating Privacy in glass offices with etched vinyl. Cut vinyl is a popular option to display many different types of things some of these include displaying opening times, job vacancies and branding. It is becoming more and more common for workplaces to have glass offices, which although look modern, can often mean there’s a problem with privacy. There is of course, the option to use frosted glass, but this is not always cost affective and requires a lot of time to produce and install. That’s where etched vinyl comes in. Etched vinyl is semi-opaque, allowing a good amount of light through but just like etched glass, is difficult to see through. This makes a perfect option for rooms used as meeting rooms. The vinyl is durable, scratch resistant and easy to remove which allows you freedom to change it whenever required. Etched vinyl can be installed as one single block of etched, however many companies use it as an opportunity to display branding or add an interesting feature to their offices. At Leeds printing company we can help you right from design to installation! 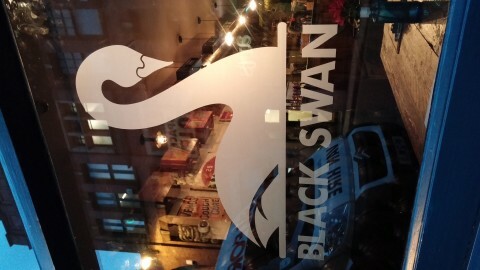 Above is an example of etched vinyl being used in order for a large glass window to abide with Glass and Building Regulations. Often companies have a simple line of dashes or dots. 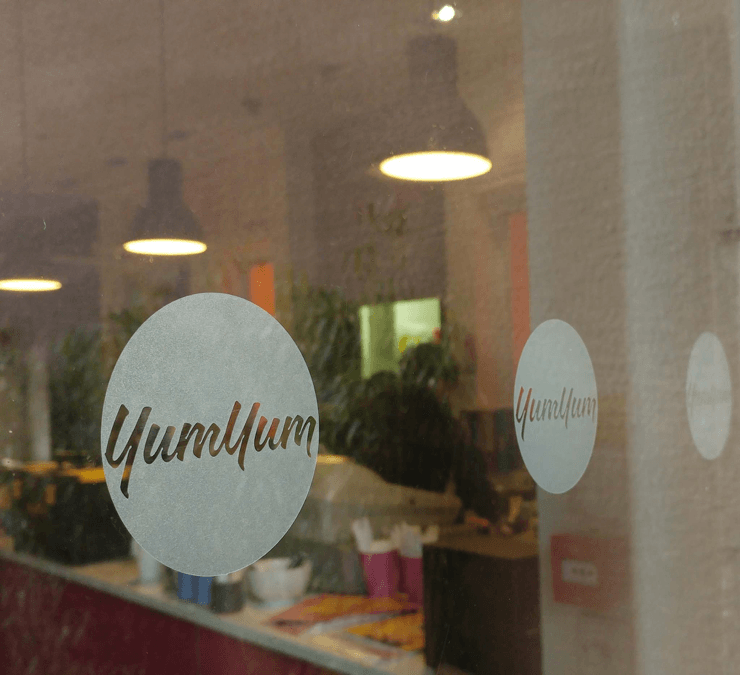 We really liked YumYum Deli’s idea of using it as another way to incorporate branding. Here is an example of etched being used on glass offices to display company branding and to make sure nobody walks into the glass!